The late actor's memory will forever live on through his former girlfriend Claudine Barretto, who took to Instagram on Friday, March 29, to honor his death anniversary. Seasoned actress Claudine Barretto paid tribute to late actor Rico Yan on Friday, March 29, exactly 17 years since the latter passed away due to acute hemorrhagic pancreatitis. 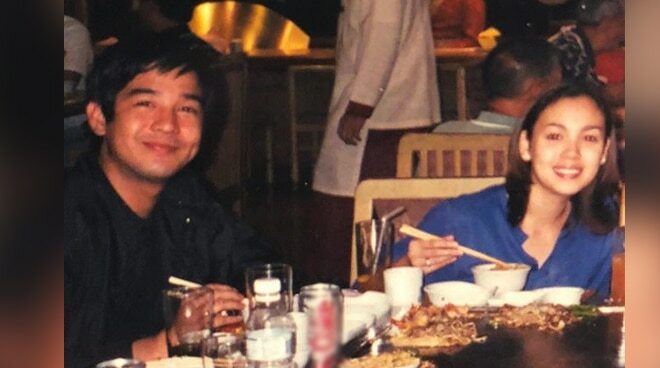 In a nostalgic post she shared on Instagram, the Optimum Star uploaded a throwback photo of herself with Rico casually dining out at a Chinese restaurant, to which she captioned, "March 29, 2002 the day my heart broke into pieces.#foreverloved #neverforgotten". Tagged was the matinee idol's sister, Tina Marie Yan. In his lifetime, Rico and Claudine worked as a love team before eventually turning into an item. During the height of their careers, the two starred in a couple of acting projects such as television series Mula Sa Puso, Saan Ka Man Naroroon, as well as films Dahil Mahal Na Mahal Kita, and Got 2 Believe, the last being their final movie together. On March 29, 2002, Rico was found dead at this hotel room in Puerto Princesa City in Palawan by his friend, actor Dominic Ochoa. He was 27.